The dipper is my 2nd favourite British bird. They are early nesters and this is the best time to photograph them before the wooded streams they prefer become darkened by the leaf canopy. 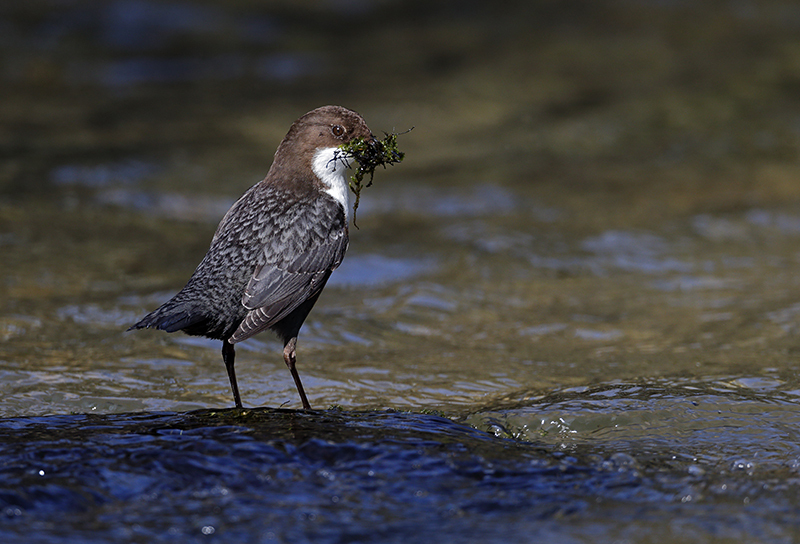 There are few Dippers that nest along streams that are well lit in the summer. Canon EOS 1dX. 800mm lens.